Rules - Information - Suggestions - Feedback - Frequently Asked Questions & Forum Help Centre. Probably won't use it, thanks anyway! Hey Ozie and Deesport figured it out finally!! 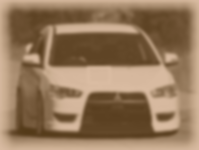 I now have pics in member's ride section to view. 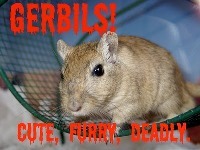 Australasian Gerbil Rearers Organisation, Official Re-Seller. MY09 Rally Red VRX ClubCJ's 1st 4B12 2.4L - CCJ Lifetime Member #0004. Glad you figured it out. I am working in putting the clubcj watermark on uploaded images as well. I should have this completed by today. is it possible to include a image resizer as well?? yes we need an image re-size feature...that would be excellent..
60% Complete with the image resizer. Finishing cosmetic issues with it. deesport wrote: 60% Complete with the image resizer. Finishing cosmetic issues with it. wow. nice offering your services. you have your own web development team or something. did you code everything youself? I do it all myself, I used to have tons of sites up, I do the designing, coding and all myself. You need web work done? Got a question? Read the ClubCJ Ultimate Guide First! !